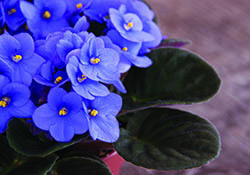 Step into a room filled with award-winning African Violets, and ask experts for advice on their care and feeding. Beautiful specimens are on sale throughout the show. Learn more here. 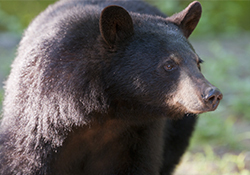 Become a wildlife expert by learning amazing scientific facts about New Jersey wildlife. All ages welcome. Click here for more info. Can trash actually talk? Find out at Historic Speedwell’s annual NJEA Mini-Camp. Through archaeology, learn how simple human trash can tell a story about the past and how we can reuse modern items. Click here to learn more. Visit the 1920 Farmhouse to see what holiday fare is being prepared. 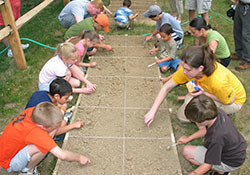 Enjoy interactive farm chores, a wagon ride, and create a family-friendly craft. Join in a special program honoring all U.S. military personnel and veterans. More info here. Experience the phenomenon known as ‘ghost hunting,’ led by Island Paranormal Society. 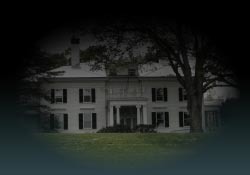 Join an investigation of the historic 1890s Frelinghuysen Mansion, and learn about the different methods and equipment used. For more info, click here. Calling all creative minds! 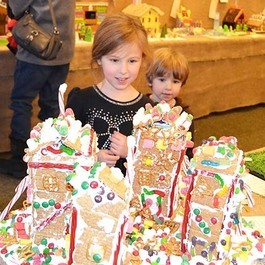 Let your imagination run wild this holiday season, and make your very own sweet creation to be featured at The Frelinghuysen Arboretum’s 26th annual Gingerbread Wonderland exhibit! All submissions must be registered by November 22nd. Learn more here.